Thank you for using the products and services provided by the company SWEETCANDY INC. When using our services, you agree to these terms. Read them carefully. We may modify this Agreement from time to time and such modification shall become effective upon their publication. You will be deemed to have accepted any such changes by your continued use of the Services. It is therefore important that you read this agreement regularly so you are always aware of all the changes. If you do not agree with the changes, please discontinue use of the Services. We may charge fees associated with certain services, including, purchase virtual goods. These products will be available for purchase in special fields in the applications themselves. The price of any product purchased through the Service will be specified at the time of purchase. Prices of all goods and services include all taxes. Based on the law of your country, you agree to be responsible for any such applicable taxes. Your purchase of any virtual product through the Service, your submission and guarantee you an adult, and if you're not an adult, that you make a purchase with the permission of a parent or legal guardian, and that you are not a person barred from receiving services or the use of any local , state, federal or international law. We are not responsible for any errors of the buyer, trial versions of software purchased for the wrong number, device or platform. We will not be responsible for any errors on the statement of accounts issued to you by your carrier. You are solely responsible for verifying that the phone or other device, and the carrier is compatible with products purchased, downloaded or otherwise obtained by you through the Services. Although we will make commercially reasonable efforts to help you get the appropriate software for your phone, device or platform, we will not be liable for any errors of the buyer. 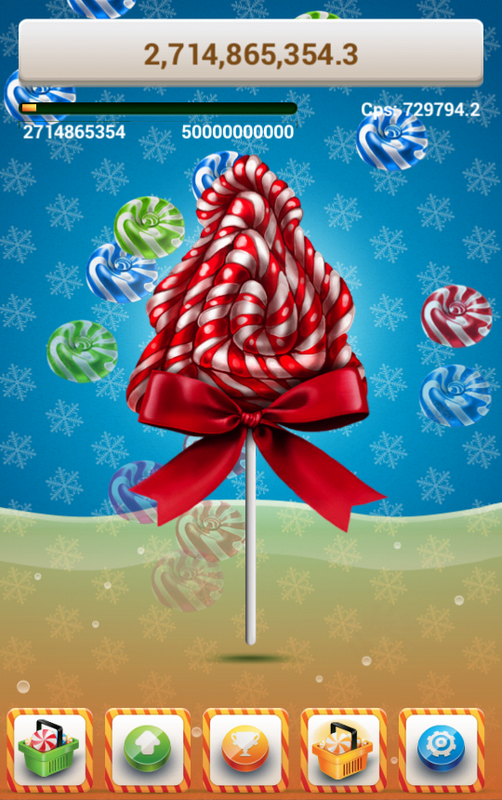 If you have other questions in connection with any product or service available through the Services, please contact the technical team SWEETCANDY INC on christmascandygames@gmail.com. Please read the system requirements very carefully before making any purchase. Some services may allow you to "earn" virtual currency. Virtual goods have no real world value and can not be used for actual purchases or exchange. 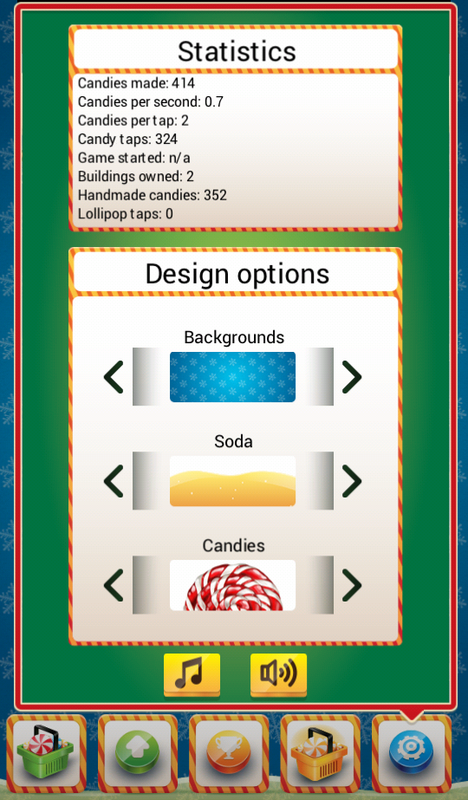 All materials contained in the Services, including virtual elements, software, graphics, text, copyrights, patents and other rights are owned and controlled by SWEETCANDY INC.
As stated above, you can buy virtual currency to make such a purchase, you just get a license to use virtual currency applicable in applications. Virtual goods have no real world value and in any case are not credit or real currency or its equivalent. In any case, the virtual currency can not be used effectively in "real world." We have the sole and absolute right to manage, regulate, control, modify and / or eliminate such Virtual goods and currency, at its discretion, can not accept any liability to you or anyone for the exercise of such rights. We love to hear from our customers and welcome their comments regarding our services. While we do value your feedback on our services and products, we request that you be specific in their comments to these services and products. If you think that the content, including User Content or other materials posted to our services is a violation of your copyright or trademark, we will promptly respond to any properly submitted notification. Please send all notices to the following email address: christmascandygames@gmail.com. In the services are intended for personal use only and may not be used for any commercial purpose, except those that are specifically endorsed or approved by us. You must remember that by sending us an e-mail message, you are communicating with us electronically. You consent to receive communications from us electronically. We will communicate with you by e-mail or by posting notices on your blog or social networking page. Applications may include banner ads, which are placed links to sites operated by third parties. We do not check and do not control these sites and make no representations regarding them, and are not responsible for the accuracy, completeness, timeliness, reliability and availability of those sites. If you decide to access one of the sites hosted on the banner ad, you do so at your own risk. Availability banner advertising does not imply our responsibility to offer services in this banner. You agree to indemnify and hold harmless, suppliers SWEETCANDY INC., Our subsidiaries and affiliates, and our officers, agents, partners and employees from any loss, liability, claim or demand, except for reasonable attorneys' fees, made ​​by any third party arising of use of the Services in violation of this Agreement and / or arising from a breach of this Agreement and / or any breach of your representations and warranties. This Agreement shall be deemed accepted for any use of any of the services. This Agreement constitutes the entire agreement between you and us regarding use of the Services. Our failure to exercise or enforce any right or provision of this Agreement shall be construed as a waiver of such right or provision. The section headings of this Agreement are for convenience only and have no legal or contractual effect. Subject to other provisions of this Agreement, SWEETCANDY INC will try to help you with any questions or problems that may arise and you have use of the Services. If you have any questions, please contact us at christmascandygames@gmail.com. This will speed up your request for help by providing our members with all the information they need to solve your problem as quickly as possible. These terms and conditions are valid only between you and SWEETCANDY INC, but do not touch third parties (third party stores, Facebook and so on). Marketa is not responsible for applications that you have purchased or for our services. Markets are not required to keep any work on technical work with our applications. Markets are not responsible for resolving any problems with our applications arising from you or from third parties. Please contact us at christmascandygames@gmail.com for any questions concerning the relationship with customers, as well as any issues arising out of your gaming activities. We guarantee you that we will not collect personal information about you without your consent, and you have to give us a guarantee that all the information that you authorize to collect is really your information. Use of personal data and information that we collect. We will use your personal information to provide you with any additional services, as well as responding to your requests. Your personal information may be used by us to improve our applications. Your data may also be used for analysis, research and administrative purposes. The data used to help us provide you with advertising in accordance with your interests, and geolocation data (location data) can be used to determine the jurisdiction of your country and of the Laws relating to you. Your device ID can be used to track usage of our applications to understand your preferences and send you offers and notifications you personally. Based on the foregoing, we may also collect your information cookie (a small piece of information sent by a web server and stored on your computer) to learn more about your preferences in respect of our application, so we can improve our services and our applications. From here you can find out what web pages you visited. The above data usage and cookie will not reveal your identity and will not be linked to you personally. We will not sell, rent or share your personal information to third parties, except as indicated above. We will not store your credit card information and billing information. We may disclose your personal information or other information that will be required by law or court order, if the information relates to threats and / or erratic behavior, and also to investigate and / or take action regarding illegal activities, abuse or unauthorized use of applications / pages in social networks, or for the protection of property and the safety of others. If you decide to purchase a product with our application, you represent and warrant that all credit card information that you provide will be accurate and correct and that you have the right to use this credit card. Under no circumstances should you give us any false or fraudulent information. If you want to change any personal information, you should write here christmascandygames@gmail.com. You may refuse the use of your cookie information in the browser, but in this case we can not promise you that all the features of the application will function properly. If you are using social networks / applications, you are responsible for maintaining the confidentiality of your account and for restricting access to your computer or device, and you agree to accept responsibility for all activities that occur under your account. Personal information is not collected from persons under 18 years. 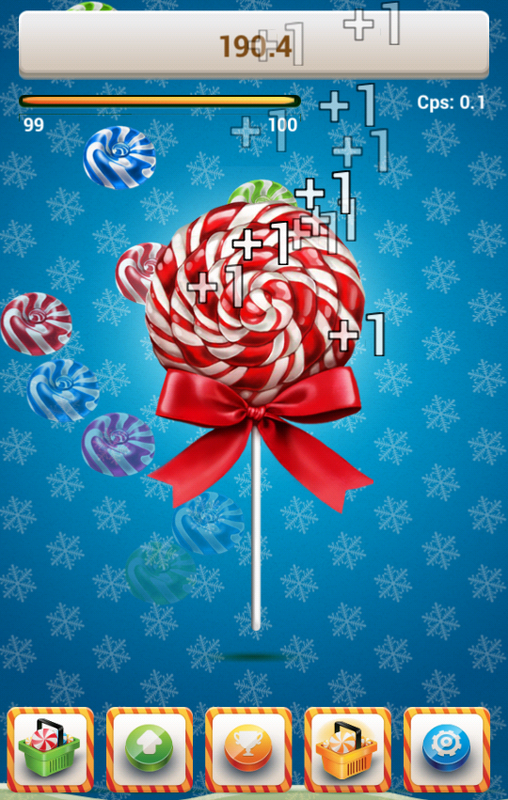 Christmas Cookie Clicker version 1.0.9! 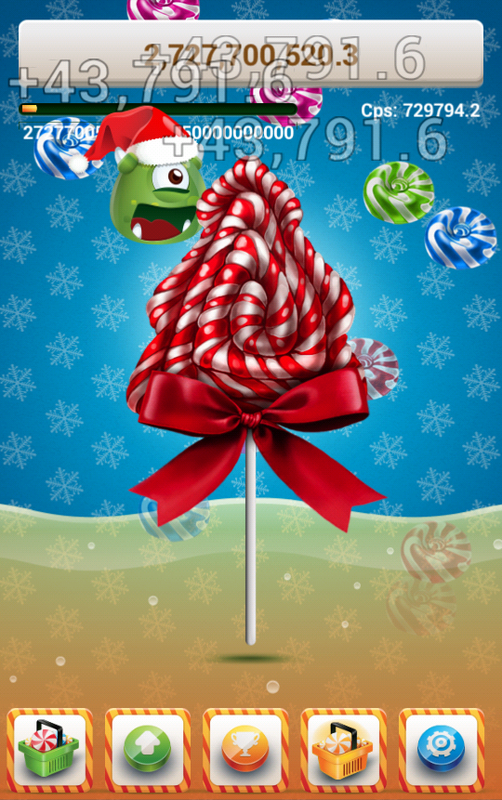 - New design of Big Candy - Christmas Tree! Wish you lots of love, joy and happiness. MERRY CHRISTMAS! Stay with us in the next year! Do not forget to comment and send us your feedback by e-mail. Your opinion is important for us. Thanks! Christmas Cookie Clicker. How to play? 1) Install and start playing. 2) Get the first gold candy for free. 3) Make 10 candy to buy 1 tap. 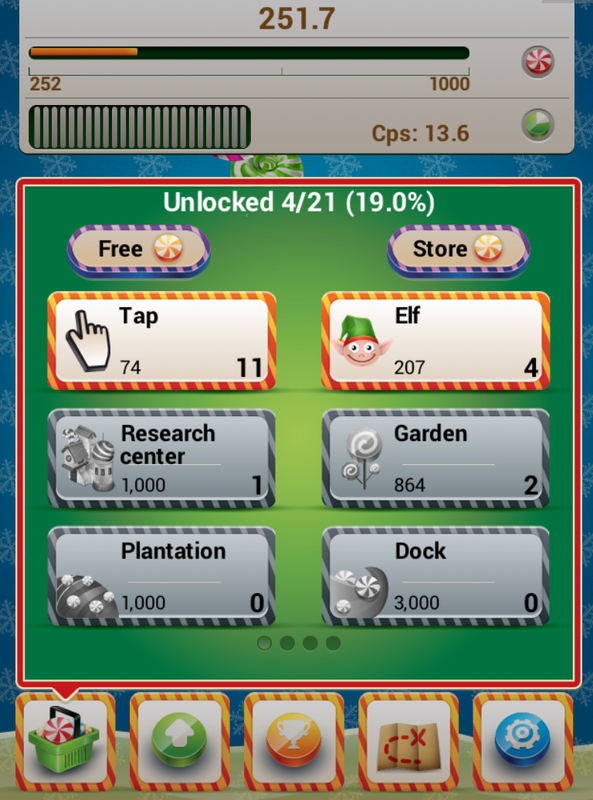 4) Make 100 candy to buy 1 elf. 5) Make next 100 candy to buy Reinforced finger. 6) Make 500 candy to buy Research center. 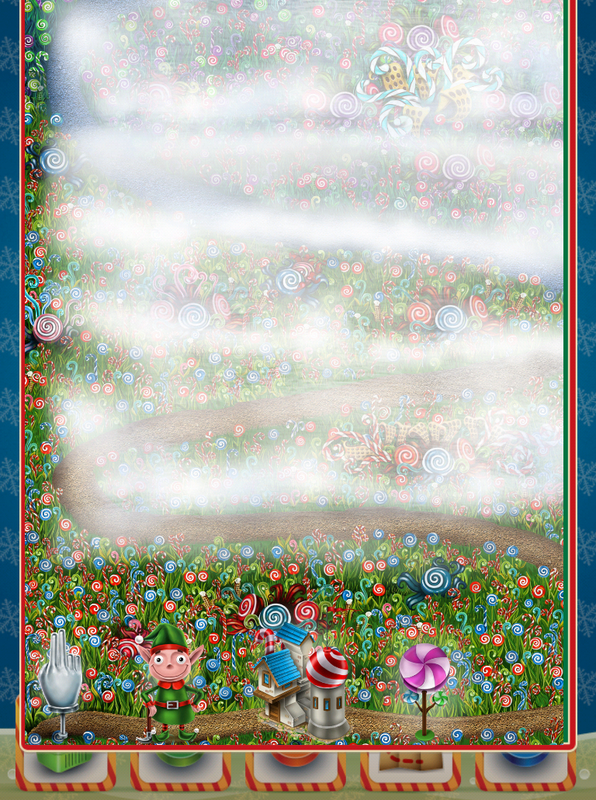 The goal of the game is to pass all the levels, to make as much candy as possible, to build all the buildings from the list. 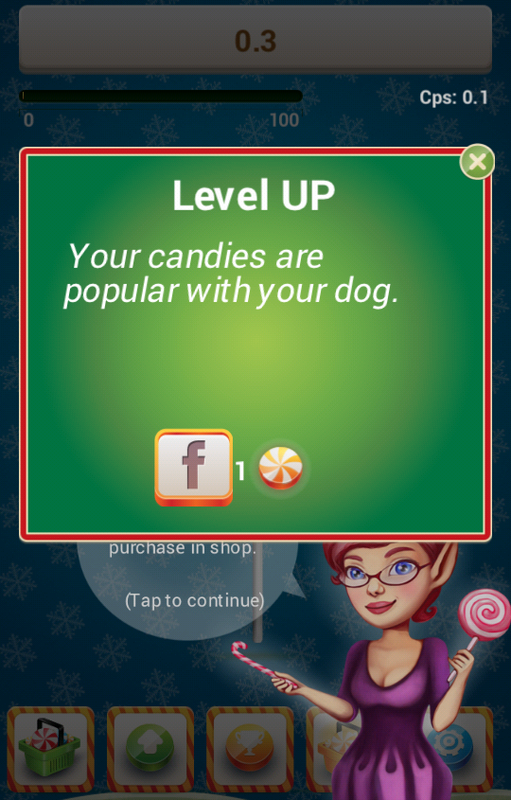 - Click the button "Buy" to buy more gold candy. You can use sms and store for the buying. 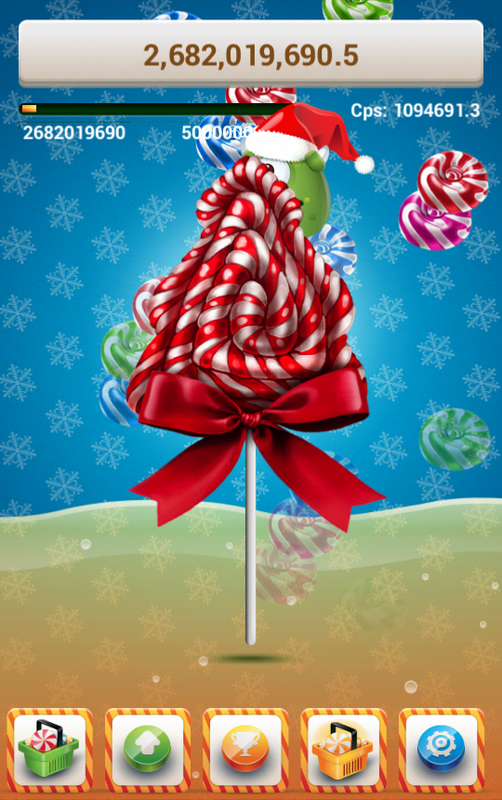 Contact us if you have a problem with buying of the gold candy: christmascandygames@gmail.com..
- Follow us on Facebook and vk. Invite your friends to discuss your progress, ways of collection of candy, pulish your screenshots etc. 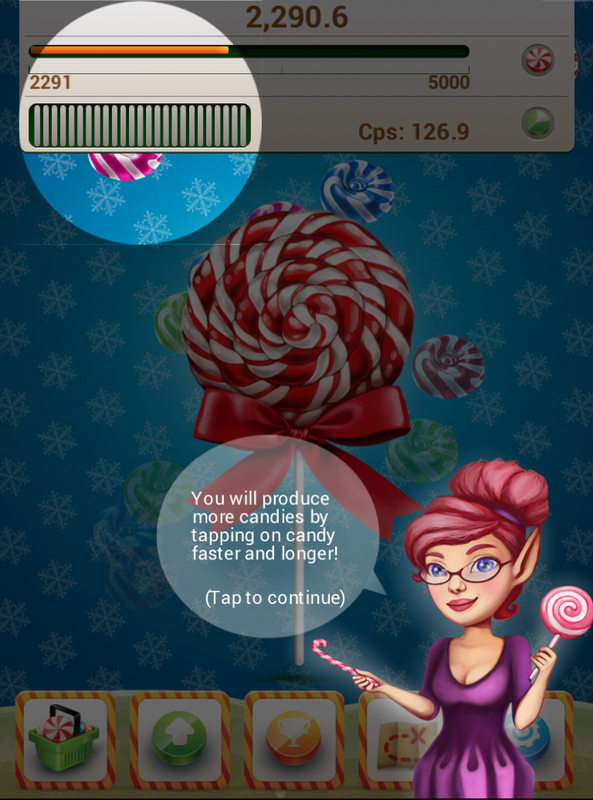 Christmas Cookie Clicker now on iTunes! You waited for it too much!... 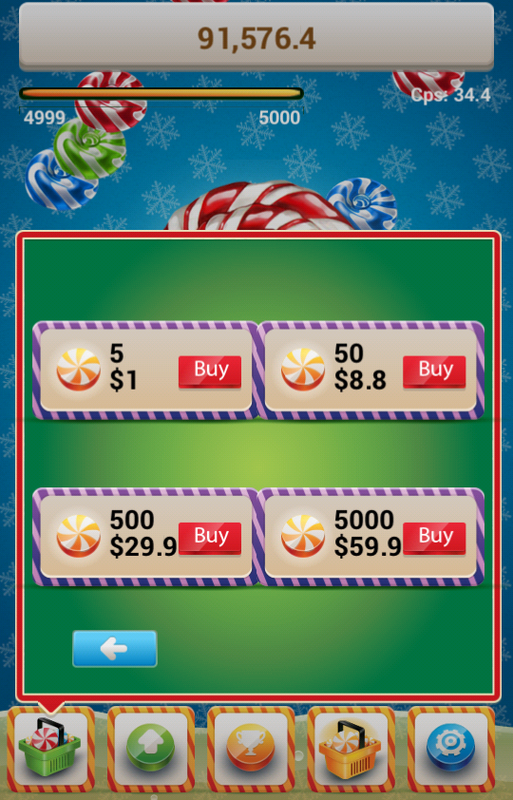 And now Christmas Cookie Clicker for your iPhone and iPad on official market! Hurry to install it first! Do not forget to comment and share with your friends! New version of Christmas Cookie Cliker! Now you can play Christmas Cookie cliker on your tablets! Do you want to have more gold candies? 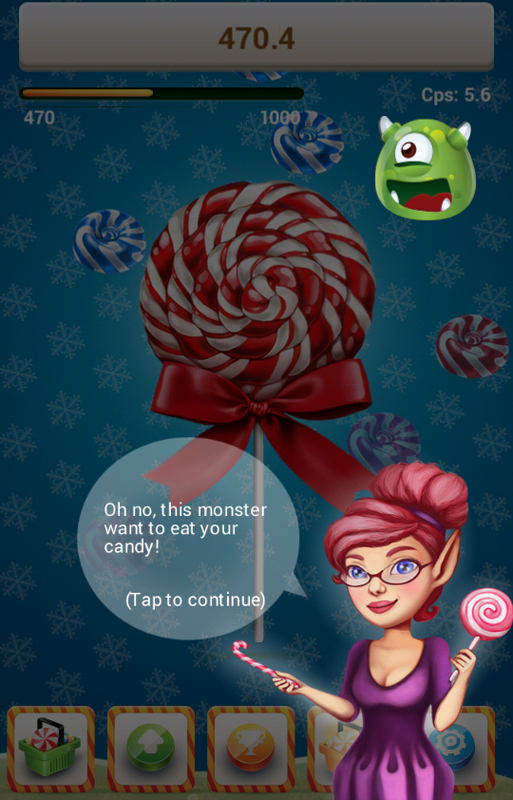 Get more candies for free in new version! 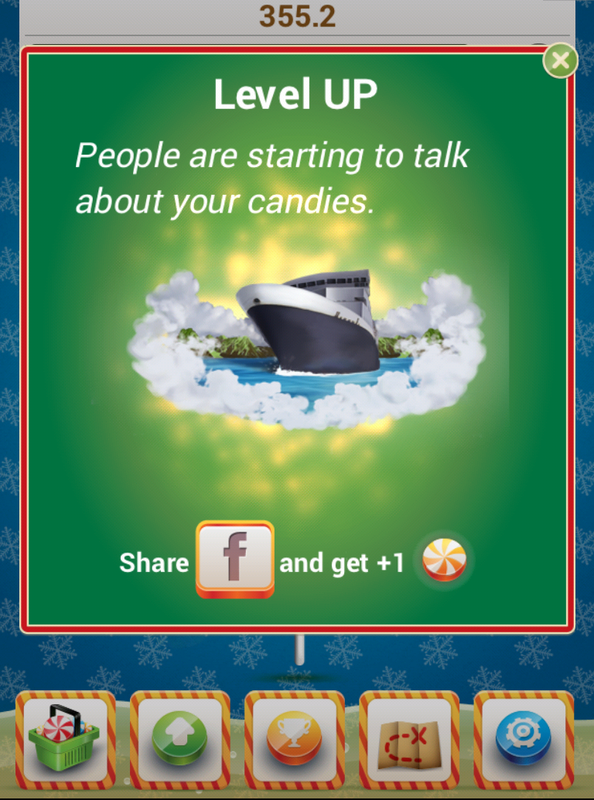 Do not forget to comment and send us your feedback by e-mail (christmascandygames@gmail.com).